Today, our liturgical year comes to its close with the celebration of the solemnity of Our Lord Jesus Christ the King. But don't let today be the only day that the Lord Jesus is King of your life. The fruits of the Holy Spirit, which shine forth in the life of each disciple who has made Jesus Lord of his or her life, can and should be practiced every day – "The fruit of the Spirit is love, joy, peace, patience, kindness, generosity, faithfulness, gentleness, self-control" (Galatians 5:22-23). Which of these might we be making excuses not to practice? Are we cultivating their opposites in our words and actions? 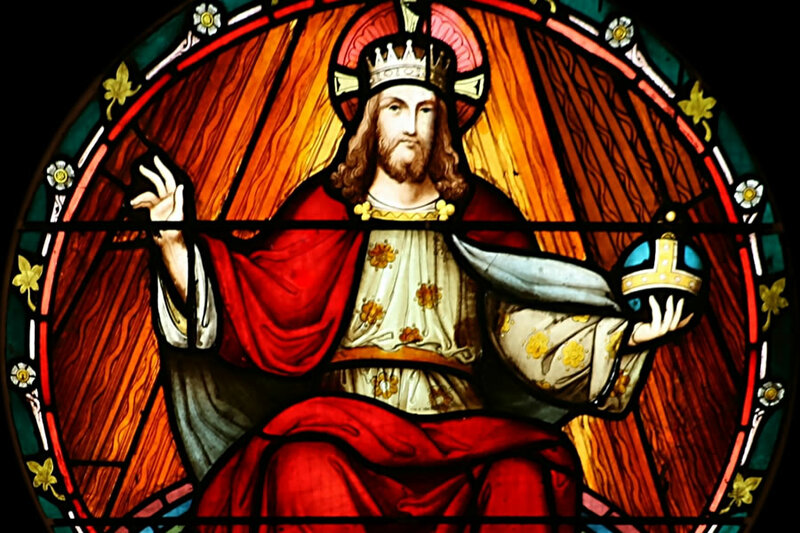 When someone sees both our public façade and our private life, can they tell Jesus is our King? Next Sunday, the First Sunday of Advent, begins a new liturgical year – Year B in the Lectionary cycle. During Year B, most of the Sunday Gospels will come from St. Mark. Advent is a great time to make new spiritual beginnings. "As Christmas approaches, it seems that every shopping trip, every gift exchange, and every party brings us a little more stress. What if it didn't have to be this way? Advent is a time to slow down and remember what matters most. It's a time to prepare our homes for guests and our hearts for Jesus. When was the last time you really prepared to encounter Jesus during Advent?" Resolve to have your Best Advent Ever. Register free at dynamiccatholic.com/bestadvent-ever and receive daily inspirations right in your inbox. Each session has a different focus, speakers, videos, and challenges. So even if you have done it in the past, every time is a new and enriching experience. Another way we will prepare as a parish this Advent is through a parish version of Straw For Jesus. Come Advent, you will see the empty manger in the sanctuary. Our manger needs straw to make a comfortable bed for the Savior. For each act of love you do during the week, place a piece of straw (provided) in the heart-shaped container found at any entrance of our church. The straw will then be included with the gifts that are taken up to the altar at the Offertory Procession at all weekend Masses. The priest will bless the straw, and it will be placed in the quiet, empty stable that awaits the Son of God. The straw prepares the stable, and our acts of love prepare our hearts for Christ. During the weekdays of Advent, feel free to make a prayerful visit to the church to add more straw. See the ﬂyer for more details and suggestions for your "Acts of Love." Finally, due to the Thanksgiving holiday, this bulletin had to be completed a couple of weeks ahead of time. We will catch up with news and offertory reporting next week. May Jesus reign in all our words and actions – Thy Kingdom come!